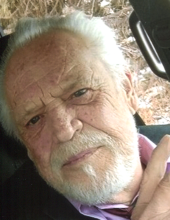 Gary Ray Schiwart, 72, of Sterling passed away Sunday, April 7, 2019 in Sterling. Memorial services will be at 1:00 pm Thursday, April 11 at the Sterling Foursquare Church with Pastor Bob officiating. Gary was born on June 9, 1946 in Vernon, Texas to Eddie and Ella Lydia (Knippa) Schiwart. He graduated from Sheridan High School and attended college for 2 years. He was also in the U.S. Navy for 2 years. Gary was a Business Man working in many different areas. He Married Tammy Schiwart in Vernon, TX and they were married for 37 years. He enjoyed fishing, church, family, and all recreational activities. Gary is survived by his wife Tammy; sons Bobby Schiwart and Chris Davis; daughters Tonya Davis and Veronica Schiwart; 6 grandchildren: Damon Parker, Caleb Davis, Aryanna Schiwart, Danica Whitmore, Draya Carraway, Dayshun Carraway Schiwart; sister LaVerne Schiwart of Commerce City; brother Robert Schiwart of Denver. He was preceded in death by parents Ella Lydia and Eddie Schiwart, brothers Marvin and Roy Schiwart, and sister Katey Schiwart. In lieu of flowers, memorials may be made to the Gary Schiwart Memorial Fund c/o Tennant Funeral Home, PO Box 1547, Sterling, CO 80751. To send flowers or a remembrance gift to the family of Gary Ray Schiwart, please visit our Tribute Store. "Email Address" would like to share the life celebration of Gary Ray Schiwart. Click on the "link" to go to share a favorite memory or leave a condolence message for the family.